FL Technics, a global provider of one-stop-shop aircraft MRO services, has announced that its subsidiary – FL Technics Indonesia – had launched Base Maintenance (BM) services in its facilities at Jakarta’s Soekarno-Hatta International Airport. The first Boeing 737 NG has already reached the MRO center for a C-Check. 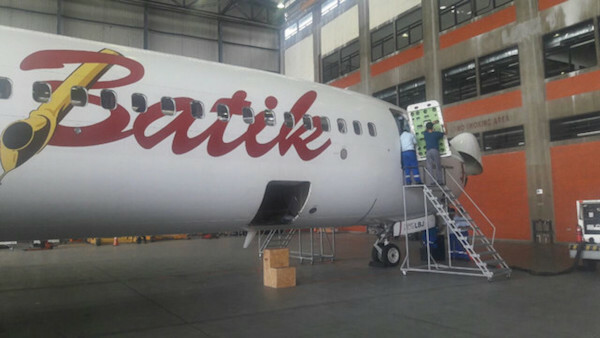 Following the receipt of the Indonesian DGCA’s base maintenance approval earlier in January 2017, FL Technics Indonesia welcomed its first base maintenance customer – Batik Air. The Indonesian carrier’s Boeing 737-800 will undergo a comprehensive set of C-Check works which are due to be finished in early February. With 35 base maintenance specialists, FL Technics Indonesia provides routine maintenance, flight hours inspection, structure repairs, minor and major modifications, technical defect rectifications and other services. In the nearest future, the company plans to expand its geographical coverage by adding BM approvals from Thai, Cambodian, Malay and Vietnamese aviation authorities. FL Technics Indonesia’s modern MRO center is located at the Soekarno-Hatta International Airport in Jakarta, Indonesia. The 9000 m2 facility accommodates up to 3 narrow-body airliners at a time. Through its parent company, FL Technics Indonesia is a member of the Avia Solutions Group family – an international, publicly traded aviation holding company with over 20 subsidiaries worldwide.